Gaurang Shah embarked on his journey as a textile advocate almost two decades ago. His mission was simple: Make handloom relevant to the global Indian woman because he believes that she is the best ambassador of India and its unique textile heritage. 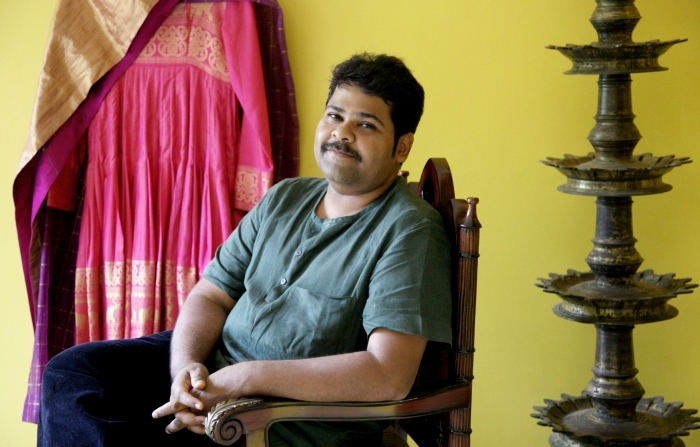 His story began with reimagining the Upada of Andhra Pradesh, and in the last 17 years he has grown from working with 8 weavers in one region to more than 800 weavers through the country. With a focus on textile fusion and artisanal diversity and harboring a soft spot for the Jamdani weave, the brand has now expanded to include Kota, Paithani, Benarasi, Patan Patola, Khadi and Dhakai. We caught up with the designer to chat about our fave fashion topic — the sari. What was the sari scene like back in 2001? 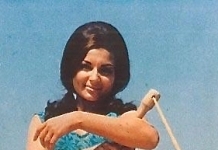 The love for the sari were almost fading as more and more women in India were choosing western wear. 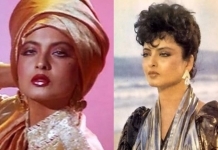 Back then, handlooms lacked the modernity women craved and there was a strong drift towards chiffon and georgette due to its ability to drape easily. 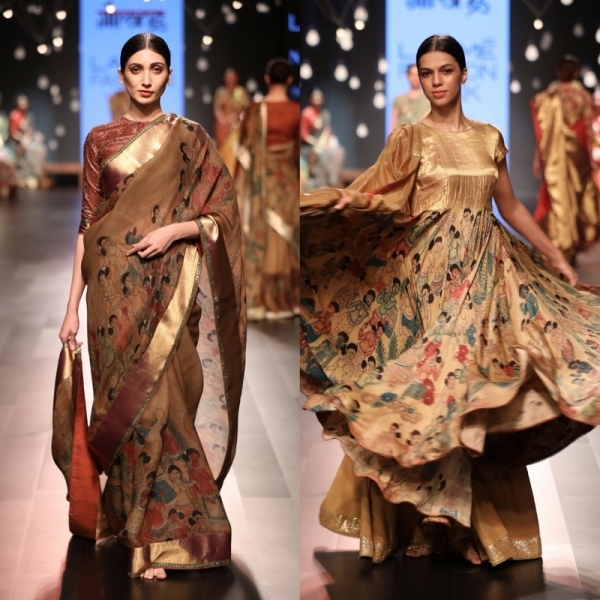 For a textile admirer like me, it was like a moment of ‘pause’, where I felt the need to come up with ways to make the handloom sari back in vogue. Weavers needed to be convinced to innovate with unique techniques and to create a new fusion of textiles. It was challenge but I loved every moment, and today when I see the sari receiving standing ovation on fashion week runways or on celebrities, the satisfaction is immense. The designer specializes in Jamdani. Jamdani is a brocaded fabric woven with discontinuous extra weft yarns. When Gaurang couldn’t find craftsmen to weave his creations, he began training local weaver’s families, even setting up new looms and introducing them to new forms of Jamdani weaving. What is the mission of your brand? We believe that there is a heirloom piece for every single woman out there and we hope that women will take great pride in wearing the sari on every single occasion. Our mission is to make the handloom relevant to the global Indian woman because we believe that she is the ambassador of our nation and its unique textile heritage. The goal is not only to make our brand universally appealing, but to make handloom a sustainable grassroots activity offering weavers and other ancillary trades a stable livelihood. Creating new clusters, new looms, artisanal diversity for our weavers and rewarding them with economic boom, was and will always continue to be my main focus. The goal was to bring sari back in vogue and according to me, the only way you can make craft a passion is if you emphasize on productivity and economic impact. How would you describe your design sensibility? A fine balance between traditional heritage and a contemporary sensibility. Looks from Chitravali, an anthology of 40 handcrafted ensembles inspired by 30 frescos from caves of Ajanta. “A master painter replicated the frescos of the caves and Kalamkari paintings were created using natural dyes and involved 17 tedious steps to process.” Kanjeevaram’s signature bright colors were subdued in the natural dyes, using korvai weaving technique while maintaining with archaic temple tales. What is the process of creating a Gaurang sari? Every pattern that we envision is laboriously sketched for days and months before turning them over to the weaver to be woven in his looms. The process and the technique are different and unique for each weave and state, so the timeline depends on the design and weaving complexity. Some of our creations have taken over three to four years to become a reality. 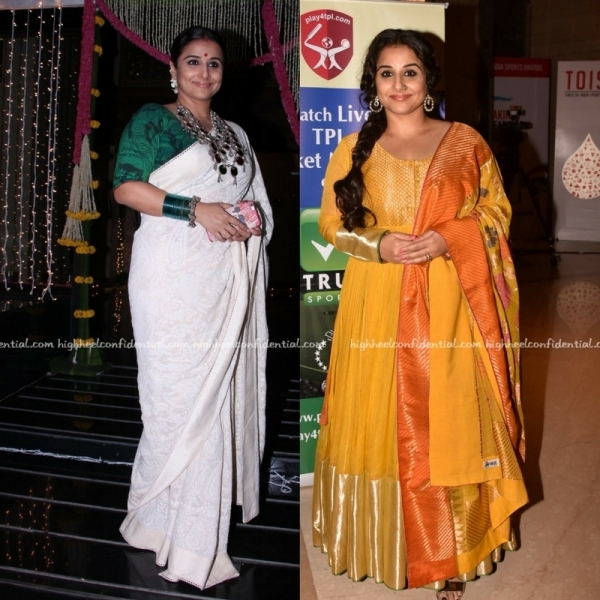 Did you ever imagine your label to experience this mainstream success and how important is it to have a celebrity like Vidya Balan patronize the brand? The mainstream attention certainly wasn’t immediate. It took me a couple of years to make my customers understand what my creations were and what it would mean to them as a fashion statement. In the early days, my almirahs were full of stock, the khadi saris hardly sold, and now they fly off the shelf as soon as they leave the loom. Vidya Balan is a constant inspiration for us. She is passionate towards the handloom, especially the sari and has a deep understanding of how it is woven, the eco angle, the natural colors and so much more. It is the confidence with which she wears a sari that makes it glorious. P.S: High Heel Confidential is an associate producer of a film that’s part of The Sari Series: An Anthology of Drape. The passion for Sari is real, like you didn’t already know that! And thats news that HHC is an Associate producer of film,more details or did you already post about it? 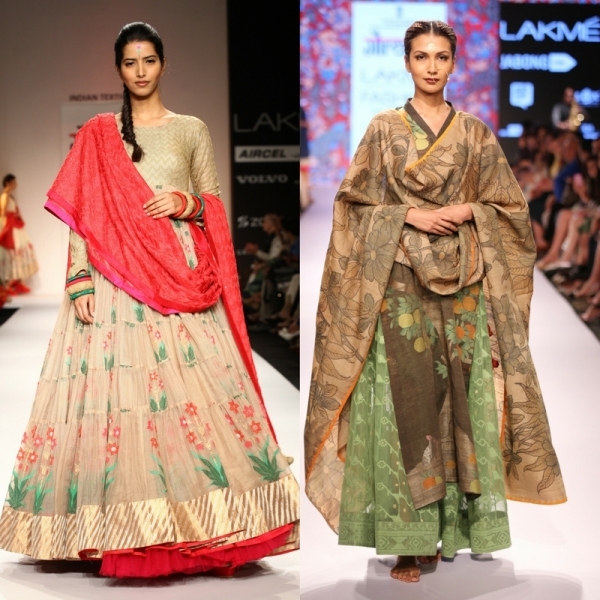 Beautiful, I especially love the green lehenga and the sari on the left. If I were Vidya I would reconsider wearing skirts with so many pleats around the waist, it makes her waist look bigger and also the volume of the skirt makes her look shorter. I do like her in the white sari. Interesting. I don’t always like his designs but I appreciate the sensibility. I look forward to the Sari Series. And it is so refreshing to hear of old weaves reinvented in new avatars, not just a georgette with embroidery. Love his designs…just can’t afford the ones I really like. kalamkari is so beautiful. i love the color of sari.